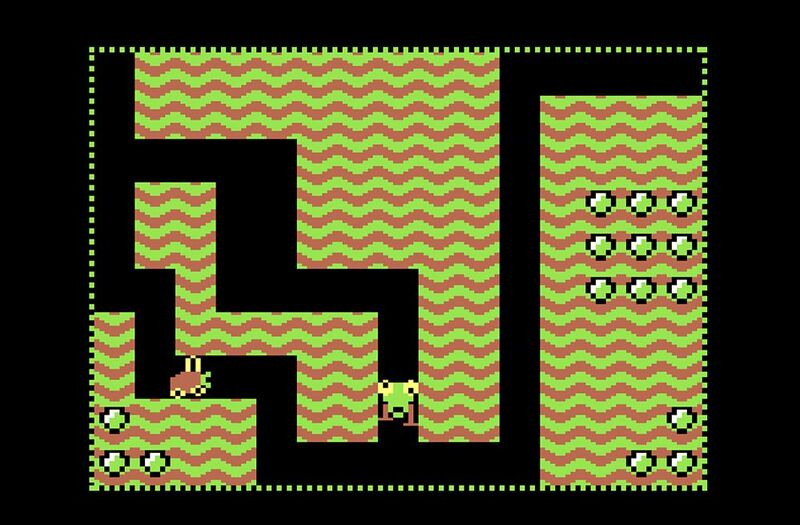 Indie Retro News: Digger Preview - A very early port preview on the C64! Digger Preview - A very early port preview on the C64! Checking for some interesting C64 previews to play, we've come across an early preview port of a game called Digger, which looks to have been released by Excess. Now if you remember this game and not of the same name on the C64 previously, that's because it was a game released on the IBM PC way back in 1983 by Windmill Software. This version however is at a very early stage but does give a good impression to how close it will be to the original game. Coded by Sergey Borodavkin with intro by Excess, there isn't much to do in the game so far but what you can do is dig around the game area, collect diamonds, and avoid the enemy which is wondering around trying to get you ( He doesn't hurt yet though ). For future developments however lets hope the coder puts in the money bags, a good soundtrack and makes the enemies deadly to the touch.